Home » Blog » When should you outsource your copy? Bob explains that business owners and marketing managers who fit three criteria often produce copy which is better and more successful than professional copywriters. You are an excellent copywriter. You have the time to write copy. The reason being is that since they know the product and market well, they have an edge on the professional writer. Half the battle in copywriting is actually knowing the customer and the product. However, unless you meet the following three conditions, Bob Bly says you are better off hiring an agency or a freelancer. So if you are an excellent copywriter, enjoy writing copy and have the time to write copy – do it yourself instead of outsourcing your copywriting. That is, according to Bob Bly. I would like to add another condition which negatively rocks the foundation of the other three mentioned. When working for companies and their publications, I sometimes come across a kind of company blindness which gets in the way of a company’s communications with its (potential) customers. Thinking “outside the box” can be essential in communicating your company’s message effectively to your audience. * Read Bob Bly’s article on Should you write your own copy? 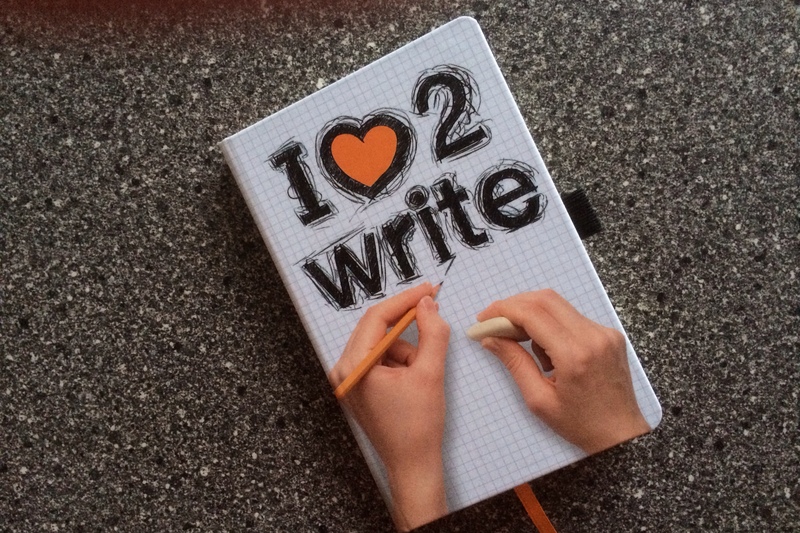 Photo of Lediberg notebook “I love 2 write”.